Your linen closet probably has more towels and bed sheets than you really need. 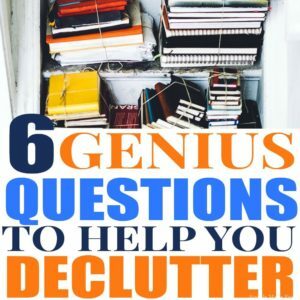 Linen closets can also become cluttered with items that don’t belong. 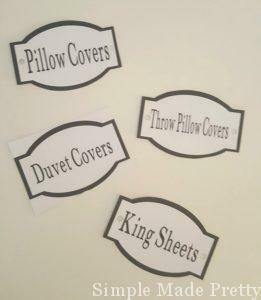 Sheets may be bundled and shoved into linen closets and linens can be lost or forgotten without proper organization. 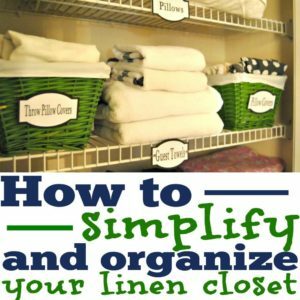 Let’s talk about what is essential so you can simplify and organize your linen closet like a pro! Our hallway linen closet has beach towels, guest towels, our kid’s bed sheets, guest bed sheets, guest bed pillows and blankets. 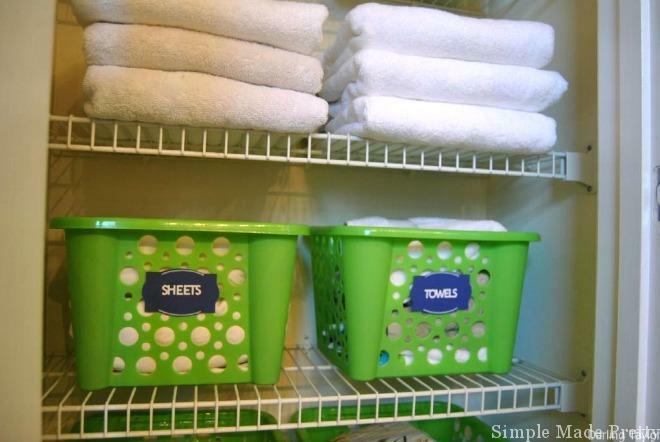 It’s easy to collect towels and sheets over a period of time that remain in a closet or storage and are never used. 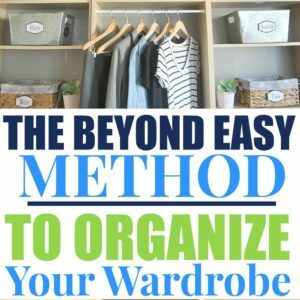 Follow these tips in an effort to own less and create an organized closet that is easy to spot what you need right away. 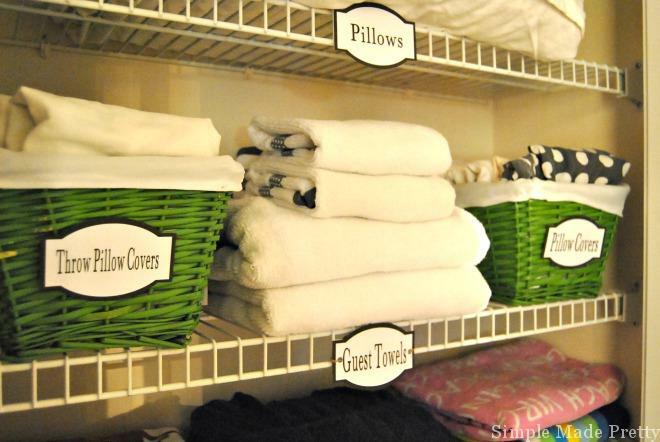 How many Towels/Sheets do you need? Bath towels, beach towels, hooded towels, hand towels, washcloths…want to know how many towels do you need? What about bed sheets? We have 2 beach towels per person in our house. If you have a pool or go to the beach/pool more often than others, you may need more but often times, once you evaluate things, you find you really don’t need as many as you thought you did. Use the “One-In, One-Out” rule. Try to reduce the number of linens that you bring into your home going forward with the one-in, one-out rule. 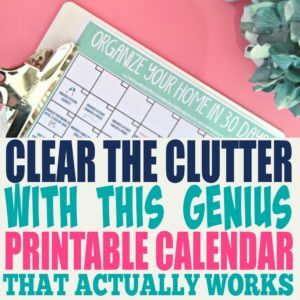 We recently purchased a new bed for the master bedroom and we purchased new high sheets (the same size sheets that we already had 2 sets of) so we donated a set we weren’t in love with so we didn’t need to find room in the closet or create more clutter. 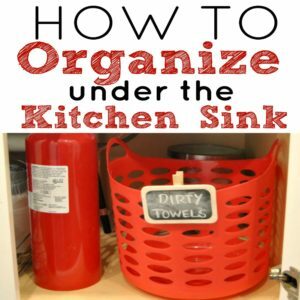 We store a few other items in our master bathroom linen closet which includes medicine, hair care items, dental care items, cleaning supplies, soap, etc. 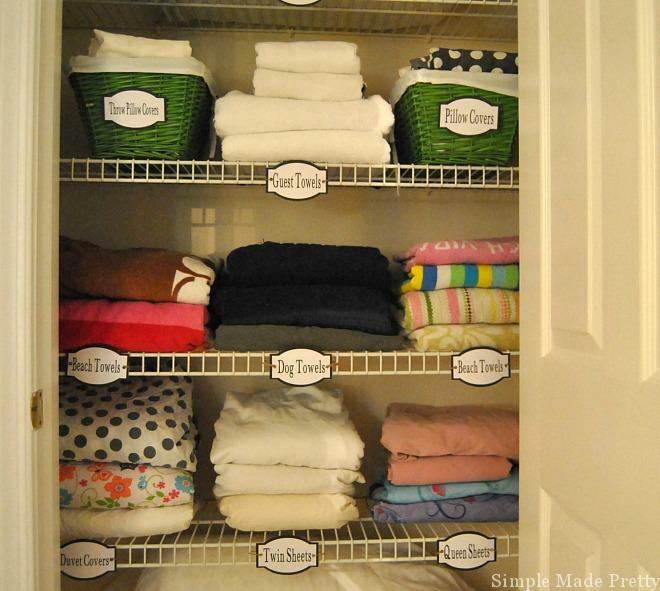 For this purpose, my printable Linen Closet Labels include every label you would need to organize your bathroom. 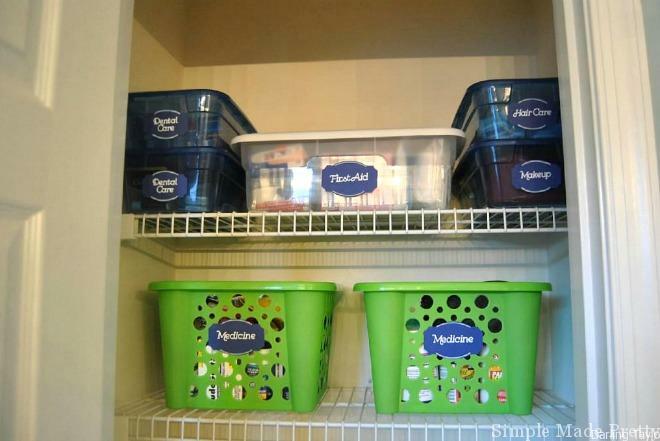 The baskets pictured are from the dollar store and the labels are adhered using glue dots. 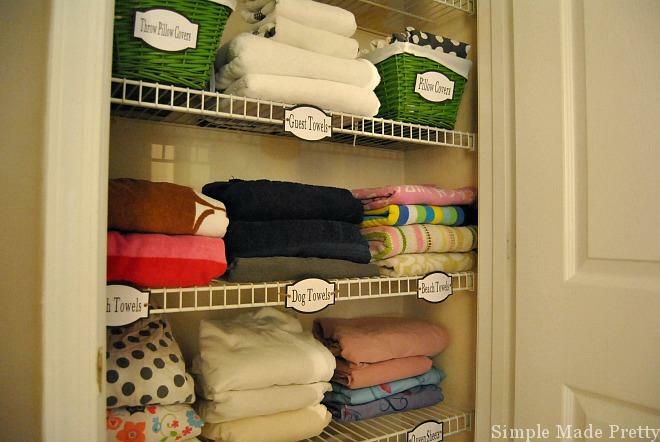 Grab these Linen Closet Labels shown in my linen closet to organize your linen closet in no time! 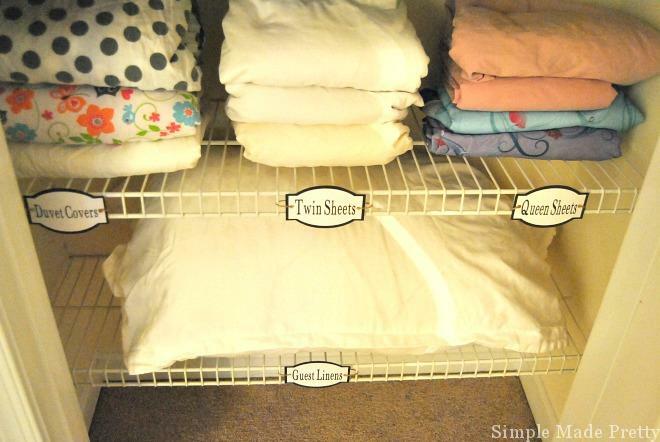 My printable linen closet labels are perfect to use in any home. The design, shape, and color can work with any home. 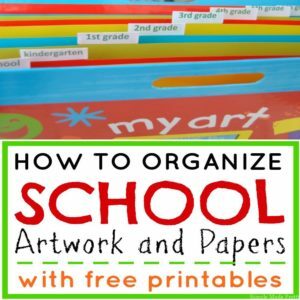 Print on white card stock, full sheet white labels, or full sheet clear labels for a clean look or print on your preferred colored card stock to match the decor of your home. 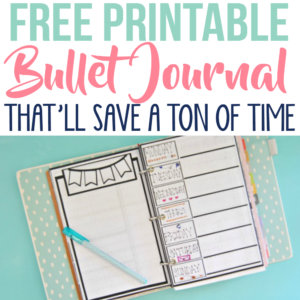 Grab the printable labels HERE to get organized right away! 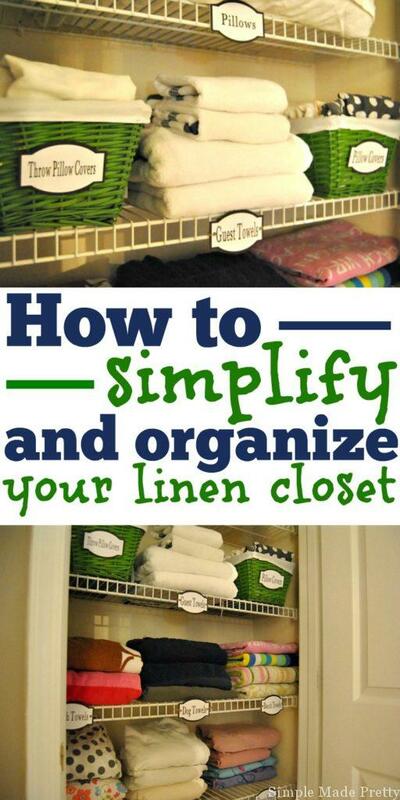 Simplify your linen closet and bathroom by eliminating the items you don’t need. Use the “one-in, one-out” rule when bringing new linens into your home. 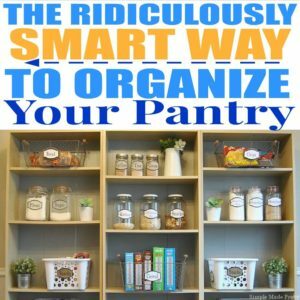 Label after organizing to completely transform the space!